Our hygiene team members are passionate about what they do and are always happy to give your smile the deep-cleaning it deserves. In fact, they’re actually caring for more than just your teeth and gums. Research has shown a potential link between periodontal diseases and other inflammatory conditions, such as cardiovascular disease, diabetes, and Alzheimer’s disease. Our hygienists will clean your teeth with a process known as "scaling,” which helps to remove minor stains, plaque, and tartar build-up. They will also check for signs of serious oral health problems, such as oral cancer. During a visual exam, the hygienist will thoroughly check your teeth and gums, including under the gum line and other most common cancer zones –- the floor of your mouth, under the tongue, and the soft palette. If a potential problem is noticed, the hygienists may want to take a biopsy. A biopsy is when the dentist will remove a small part of the tissue from the problem area and examine it under a microscope to discover the presence, cause, or extent of a disease. Maintaining regular visits with one of our dental hygienists is one of the best ways to guard against serious oral health problems. 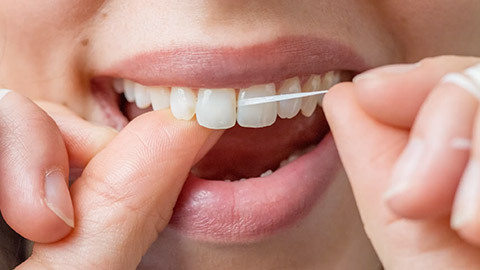 If you need more information about oral hygiene/cleaning in Markham, contact us today.